During the Viatnam war, almost all of the soldiers there had no actual clue why they were there or even what and why they were fighting for! As we now know, they were fighting for the rid of comunism in Viatnam, but at that time, mo0st of the soldiers there didnt even know what comunism was! So to deal with all of the stress that was going on in the war, most of the soldiers in the war started to smoke. 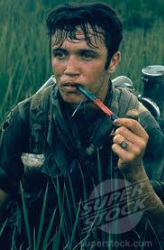 Smoking in wars didnt just start in the war of Vietnam though, smoking itself has been around for thousands of years and ever since then has been used to releave stress. During the Vietnam war, the most common thing they smoked was marijuana and tobacco. Marijuana was the most common because of the effects of Marijuana and how it can relax your body and make you forget all of your problems. Because of the drug problems in Vietnam, most of the soldiers were pretty clueless to what was going on in the surroundings. In fact, most of them didnt even want to be there! 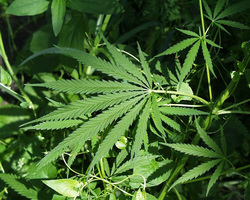 Marijuana, also known as canibis, weed, or grass, is one of the most common drugs aside from tobacco. Marijuana is most commonly consumed by people under the age of 25 or people who are very ill in the hospital. Unlike tobacco, marijuana is still used as a relaxitive medicin in hospitals all over the world under the name "Medical Marijuana". Medical Marijuana is different from the Marijuana you would buy off of the streets. In Marijuana you buy off of the streets, you never really know what you get , but in Medical Marijuana, it is specialy grown and treated with no added chemicals. During the vietnam war, all of the soldiers were under 25 years of age because the army liked hiring the young guys oppose to hiring older soldiers. Because of the age of the soldiers, the soldiers were very into experimenting with new drugs. Almost all of the drugs the soldiers smoked in Vietnam was picked and dried by the soldiers themselves. Almost all of the soldiers in the war also reported that the war was one of the first times they ever smoked Marijuana before. After the war was over, lots of the soldiers stopped smoking Marijuana because they really had no other reason to smoke anymore.